A string of recent allegations against Justin Trudeau have left his government in turmoil and his political future in doubt. The scandal revolves around a criminal case involving SNC Lavalin, an engineering company based in Quebec. SNC Lavalin was accused of bribing Libyan officials to secure defense contracts for the company, and was charged with corruption in 2018. Trudeau is said to have attempted to coerce the Ministry of Justice into dropping the criminal charges, allegedly fearful that a guilty verdict would eliminate thousands of Canadian jobs. This constitutes obstructing the rule of law. 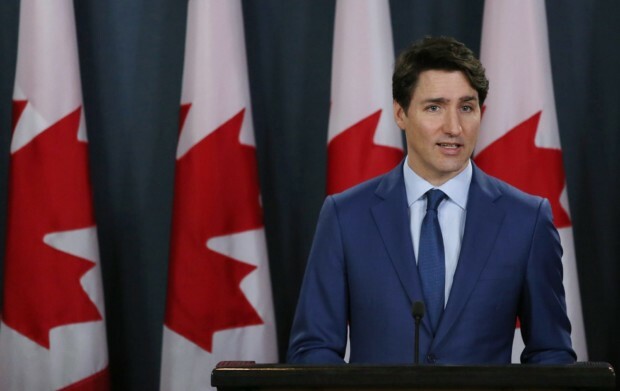 Trudeau is said to have repeatedly pressured his former Attorney General, Jody Wilson-Raybould, to discontinue her ministry’s prosecution of the case. Trudeau has denied any wrongdoing and has maintained that the allegations are false. Wilson-Raybould resigned this February following her demotion from Attorney General to Minister of Veterans Affairs. Her resignation was what first broke the scandal. She claimed to be resigning in protest of the moral degradation of the Trudeau government. Jane Philpott, the President of the Treasury Board, resigned last week in an act of solidarity with Ms. Wilson-Raybould. She, too, publicly stated her moral opposition to Trudeau’s actions and insisted that she could no longer work within his Cabinet. Philpott held near-universal admiration within Mr. Trudeau’s Cabinet, and her resignation further destabilizes any semblance of a moral high ground for Mr. Trudeau. Mr. Trudeau’s situation is further complicated by his feminist political brand. Trudeau has been regarded throughout his tenure as perhaps the prominent feminist leader not just in Canada, but across the globe. In attempting to undermine Ms. Wilson-Raybould’s authority, Mr. Trudeau had damaged, perhaps irreconcilably, this brand. Regardless of his intents, the lasting image is of a powerful man attempting to force his will upon a subordinate female. Trudeau was originally elected in 2015 on a message of hope, transparency, and a promise to do politics the “right way.” This scandal is suggestive of anything but transparency and rightness. Mr. Trudeau has also long presented himself as a solution to the Indigenous-rights issues that have plagued Canada’s history. Ms. Wilson-Raybould is, herself, Indigenous. Indigenous leaders across Canada have seen Mr. Trudeau’s actions as a “stab in the back” that disproves his stated position as an advocate of Indigenous rights. Only time will tell if Mr. Trudeau can survive this political crisis. What is clear, however, is that a Trudeau government once so built upon hope and promise has, perhaps forever, lost its innocence. Tara Law, “Canada’s Justin Trudeau is Facing a Divisive Political Scandal. Can He Survive?” Time, March 8, 2019, http://time.com/5547518/trudeau-wilson-raybould-canada-scandal/ . ← Why Does the Military Stay in Power after Coups?